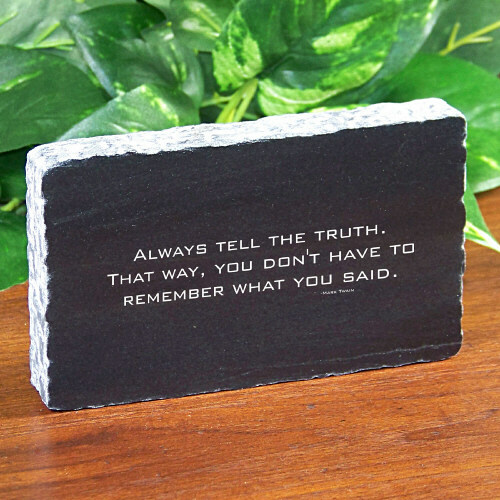 Present your Attorney or New Law Graduate with this distinctive Personalized Lawyer Keepsake sure to inspire on the most difficult of days. Each Engraved Lawyer Keepsake is professionally engraved for optimal presentation. 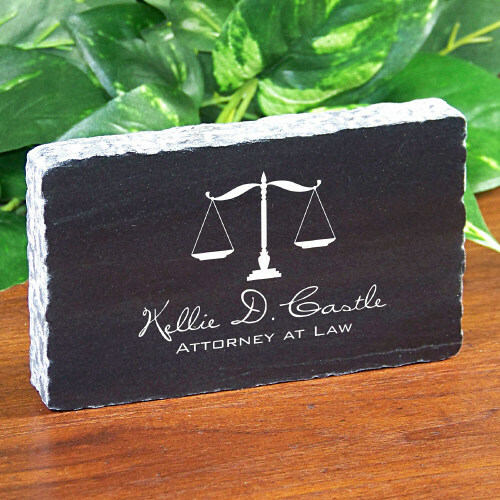 Our handcrafted and hand polished, solid black marble piece with scalloped edges measures 5"W x 3"H x 3/4"D. This Engraved Lawyer paperweight includes FREE personalization! Personalize your Keepsake with any Lawyer's Name. That way, you don't have to remember what you said. This was the perfect Gift, the quality was perfect, I would recommend it that is for sure, it is Marble and the personalization was perfect! Very nice gift. Elegant and attractive. Was disappointed with the paper weight...I didn't read anywhwre that it was acrylic and not glass. GiftsForYouNow.com has many additional Personalized Gifts for your special gift giving needs. A Personalized Lawyer Gift is perfect for Graduating Attorney.